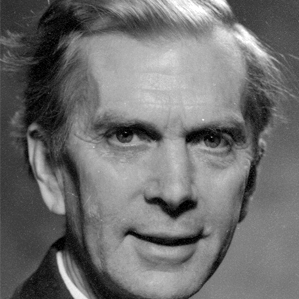 Sir Martin Ryle, the Astronomer Royal from 1972 to 1982, was a highly acclaimed fellow of Trinity College Cambridge and the recipient of many awards from the establishment including the Nobel Prize for Physics. In the last ten years of his life he dedicated all his energy to attacking both nuclear power and the weapons industry it helped make possible. Many successful mainstream scientists considered the fact that he spent the last years of his life working in this field to be eccentric and a waste of Martin's skills. Despite seeing both his supporters and himself marginalized he continued to work to raise consciousness about these important issues. After he died these words were found scribbled among his papers. Our world is one – yet evolution has now reached the stage where as a species we may die. We as scientists should be able to see this more clearly than most and we must use our influence to change the too limited aspirations of our governments. As scientists we must do all we can to prevent further misapplication of our work to provide weapons of war – instead we should strive to see how the vast resources now diverted towards the destruction of life are turned instead to the solution of the problems which both rich – but especially the poor – countries of the world now face. Michael Rowan-Robinson, Reader in Astronomy Queen Mary College University of London wrote (in a booklet called Martin Ryle’s Letter) that Martin Ryle’s example will not after all be remembered as quixotic, but rather a turning point in the responsibility of science and scientists. References to works mentioned are on the references page.